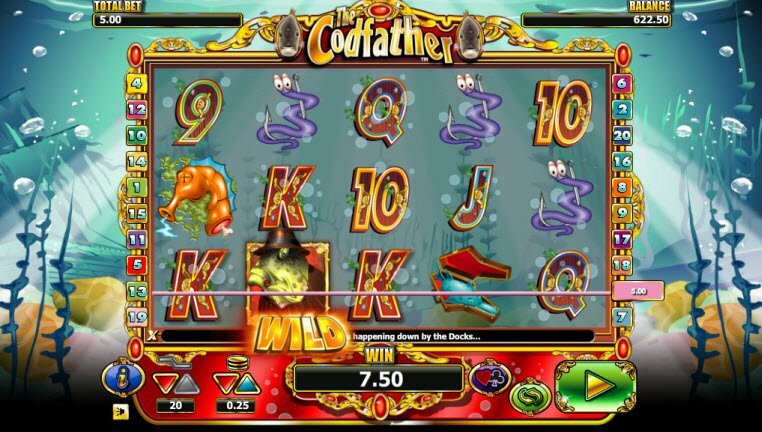 The Codfather Slot will have you quite literally sleeping with the fishes. 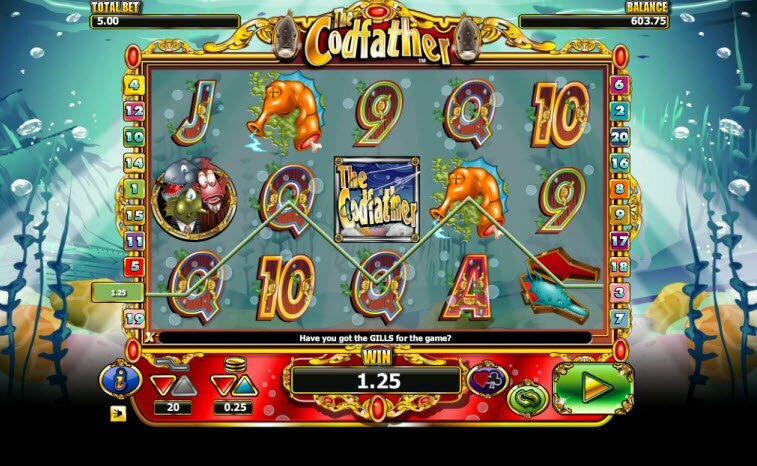 In this 20 payline video slot, the Godfather goes under the sea. The funny theme of fishes dressed as mob bosses sets the tone of the game. You’ll really enjoy both the game design along with the frequent cash payouts. Brought to you by SkillOnNet gaming software, this gangster fish-themed 20-payline game gives players the chance to find favor with the big boss for the reward of ten free games with triple prizes and their pick from five Big Boss Bonuses. Sleep with the Fishes… Literally! Other than the play on words, The Codfather Slot Machine features all kinds of funny references to the Godfather. Look for the dead sea horse head which of course, refers to the scene in the film in which a man finds a dead horse head in his bed. The reels also feature fishy mob bosses as in fishes dressed up in gangster suits. I love when the reels land on the Wild Symbol and the Codfather aggressively animates with a cigar in his mouth. It’s a silly take on the classic movie, and its lots of fun. Overall, the graphics and game design look great and capture the Mafioso atmosphere. When 3 or more of The Codfather fishes appear, the Big Boss Bonus activates. During this bonus, choose a boss and give him a peace offering for prize money! The Codfather Slot bonuses have several exciting features that award big bonuses such as Free Spins and cash payouts. The picture of the Codfather represents the Wild Symbol in the game. When 3 or more of The Codfather fishes appear, the Big Boss Bonus activates. During this bonus, choose a boss and give him a peace offering for prize money! 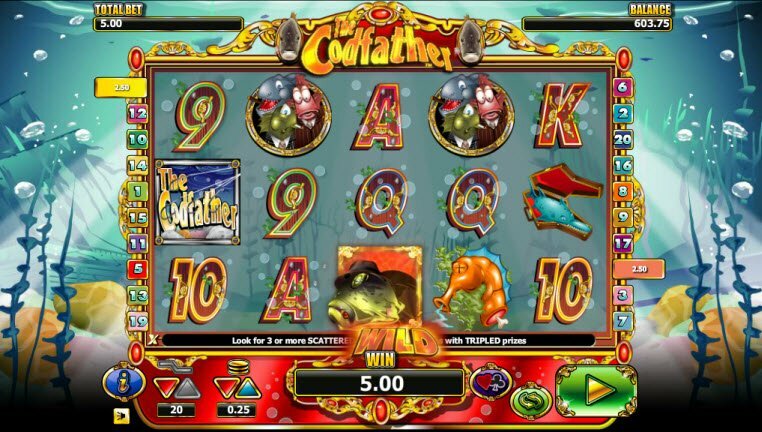 When 3 of the Codfather logos appear on the reels, you win 10 Free Games in which all payouts are tripled.